Anderson & Kreiger is widely recognized as one of the nation’s preeminent law firms for airports. Our airport team has represented more than 100 airports from coast to coast, as well as the airport industry’s leading trade associations, ACI-NA and AAAE. Our nationwide airport practice covers large hub airports (from Boston to Orlando, and Los Angeles to Seattle, with many stops in between), small municipal airports (from Hyannis, Massachusetts to Palmer, Alaska), and many small and medium hub airports throughout the country. 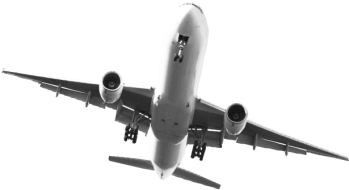 We help airports negotiate airline agreements and draft rate regulations. We guide airports through often contentious regulatory compliance proceedings. When the need arises, we litigate for our airport clients. We have won numerous precedent-setting cases involving federal preemption under the “Vision 100 Act” and the Airline Deregulation Act; immunity from antitrust suits; and the use of RICO and the False Claims Act to enforce AIP grant assurances. Finally, working with our top-notch environmental lawyers, we have helped airports resolve many challenging environmental matters.